Additionally, Smart IOPS showcased its flash appliance that is based on a variation of its Data Engine SSD building block. When fully-configured, the company’s shared flash appliance is capable of producing an unprecedented 200 million IOPS, equivalent to 800GB/second of data bandwidth. Smart IOPS believes that the economics of present generation of flash storage does not fully service the needs of enterprises and large scale datacenters. By blending its TruRandom technology in a system appliance configuration, Smart IOPS intends to deliver unmatched performance and availability at a TCO that is a fraction of the cost of All-Flash Arrays. 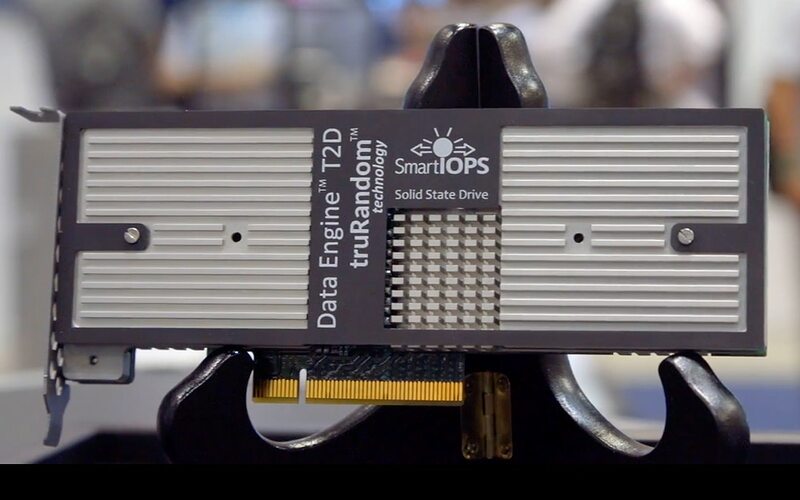 Smart IOPS plans to ship Data Engine SSD to key customers in early Q3’2016, and on a larger scale in Q4’2016. The shared flash appliance is expected to begin sampling in 1H’2017.